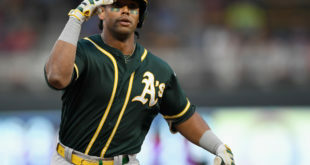 The latest has him and the Blue Jays in “active” contract talks. As of last week the Blue Jays had not made Bautista a formal contract offer, and it’s unclear if that is still the case. The Blue Jays and Bautista are talking and that’s most important. All things considered, Bautista re-signing with the Blue Jays is best for both parties. The Blue Jays, meanwhile, would retain his power bat and improve a weak outfield unit that currently includes Kevin Pillar, Melvin Upton, and Ezequiel Carrera. That lineup is very right-handed heavy — Morales and Smoak are switch-hitters, and Carrera is a lefty, otherwise it’s all righties — but guys like Donaldson and Bautista and Tulowitzki are productive against all types of pitching, so it shouldn’t be a huge problem. The Blue Jays won’t have to surrender a first-round pick to re-sign Bautista, which is part of the reason why this makes sense. 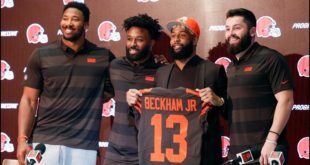 Cleveland Browns Have Gotten The opportunity To Be Featured In Four Prime Time Games. 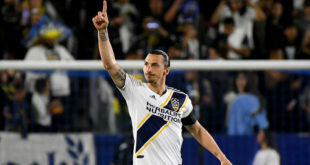 How Did LA Galaxy Score 2 Goals Over Philadelphia Union ?